Car shopping in the West Warwick area? Look no further than the new vehicle inventory at Balise Nissan of Warwick. We have a wide variety of models in stock, from the popular Nissan Nissan Rogue to the fan favorite Nissan Altima. When you’re ready to take your East Providence commute to the next level, stop by Balise Nissan of Warwick to pursue the Nissan models for sale in Warwick, RI! 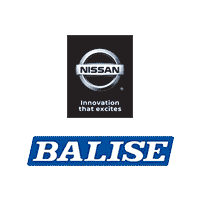 Why Choose a New Nissan from Balise Nissan of Warwick? Did you save your favorites? You’re going to want to pull them up when you visit our dealership so you can test drive each and every vehicle that piqued your interest. We’d be happy to get down to brass tacks while you’re here and crunch the numbers for you on an auto loan or lease. We have the number one share with Nissan Motor Acceptance Corporation (NMAC), which is Nissan’s financial services branch, so we’re confident that will be able to offer you the finance program that works best for your unique financial situation. After browsing our extensive new inventory, do you think one of our many used cars would fit your budget a bit better? We have the pre-owned equivalent to many of our new models, so we encourage you to keep browsing or give us a call at 401-352-5908 for assistance.